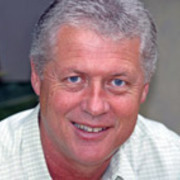 Roger Donaldson's directing credits include landmark TV series Winners & Losers, two classics of the New Zealand film renaissance, and a run of movies made in the United States. Donaldson was born in Ballarat, near Melbourne. In 1965, while studying to be a geologist, he and a friend crossed the Tasman for a holiday job that fell through. Back home he had been drafted to go to the Vietnam War. Donaldson quickly fell head over heels for Aotearoa. As he told Paul Holmes in 2006, he felt liberated; New Zealand "allowed me to reinvent myself". Back in 1977, he put it like this: "I'd wanted to make movies since I was a kid, so being forced out of home, it seemed a good time to make the switch. I decided to start with commercials. My attitude was that nobody was going to make any openings for me, so my next move was to go down to the library and find a book on how to load a Bolex [camera]." While working as a stills photographer, he was visiting advertising man Bob Harvey when Harvey suddenly needed a replacement to direct a commercial. It was the first of dozens of adverts. Soon Donaldson set up company Aardvark Films, with his friend Mike Smith. They began ploughing their advertising revenues into self-financed documentaries. Two of the earliest involved fast-moving vehicles — as would The World's Fastest Indian (2005), Donaldson's biggest local success to date. The love of speed runs in the family; his grandfather was a doctor who "was crazy about motorcars and going as fast as he could go". After meeting Invercargill motorcycle racer Burt Munro, Donaldson was inspired by the old man's positivity and determination. He persuaded Munro to make another visit to the Bonnneville Salt Flats in the United States, where in the 60s he'd set multiple world records in a souped-up 1920s cycle. Donaldson's documentary Offerings to the God of Speed (1971) was over two years in the making. It debuted on TV slot Survey, as did hippy chronicle Start Again. Donaldson realised early on that Burt's story had the makings of something longer. Donaldson soon became a skilled cameraman; he was editing and art directing too. So he was an obvious choice when Bob Harvey brainstormed the idea of an adventure series, featuring Sir Edmund Hillary. While directing this adventure, Donaldson and co spent days trapped in a Fiordland ice cave (he talks about it in this video interview). A Yeti-hunting adventure in Nepal was never completed. Another time the crew almost sank at Cape Horn, then limped into the middle of a coup in Chile. Such encounters likely fed into the totalitarian elements of his first feature, Sleeping Dogs. By now Donaldson had met impassioned actor and writer Ian Mune. The two decided to make dramas together, and learn from each other as they went. The duo begged and borrowed to make Derek (1974). Mune played a man messing up his last day at the office. Local reviewers were impressed with this grungy portrait of the Kiwi male; letters to the editor ranged from "superb" to "senseless". Then the pair began mining classic literature with the moody The Woman at the Store, which The Listener found "exciting" and "polished". Its success fueled plans to make and sell a series of TV dramas, the first time independent filmmakers would win a prime time series slot on New Zealand television. Winners & Losers (1976) drew from classic stories by local authors. After directing two episodes as a team, Donaldson handled two solo: the light-hearted A Lawful Excuse and drama After the Depression (he discusses Winners here). Donaldson then jumped into his ambitious first feature, Sleeping Dogs (1977). It starred Sam Neill as a man trying to escape both a repressive government, and the resistance. Taking on both directing and producing, Donaldson managed two to four hours sleep a night; ultimately he went 50 per cent over budget (the final budget was $450,000). Mune co-starred, and helped adapt the original book, CK Stead's Smith's Dream. Sleeping Dogs became New Zealand's fourth highest grossing film of 1977, and sold to over 30 countries. It's success ushered in a new age in Kiwi feature films. Donaldson's choice of Sam Neill showed his shrewd eye for emerging talent. Advertising work continued to put food on the table. In 1979, he made a rare stab at comedy: 50 minute children's adventure Nutcase, Donaldson rented a cinema to show it, in a failed effort to break New Zealand's "exhibition monopoly". He also directed two episodes of swagman series Jocko. Relationship drama Smash Palace (1981) starred Bruno Lawrence in arguably his strongest role: as an ex racecar driver fighting for access to his daughter. After years of disinterest in Donaldson's script, Smash Palace won rave reviews from American critics. Roger Ebert called it "one of the best films I've seen about a marriage in turmoil". Pauline Kael described it as "amazingly accomplished". Back home, The Listener argued that it got "so much more from its actors than most films dare to try for", and was "deeply imbued with a New Zealand atmosphere". Smash Palace opened more doors in Hollywood than it did at home. Donaldson took up an offer to write a Conan sequel (with help from Ian Mune). Conan in turn lead Donaldson to legendary producer Dino De Laurentiis. At 5am one morning, De Laurentiis phoned him, then gave him a few hours to decide if he wanted to take over David Lean's Mutiny on the Bounty project. Donaldson tells the whole story in this 1985 TV interview. After casting Mel Gibson as mutineer Fletcher Christian, Donaldson found himself in Tahiti with a massive crew, and two overheated actors (Anthony Hopkins played Captain Bligh). Nominated for the top award at the Cannes Film Festival, The Bounty won generally good reviews, including for its historical accuracy. Donaldson hadn't imagined he would end up living in the United States. But it proved "a fun place to work". In the 18 years between The Bounty (1985) and The Recruit (2003), he thrived as a Hollywood-based director, making ten features. His first hit was Kevin Costner thriller No Way Out (1987) — as with The Bounty, Donaldson was able to film some scenes in New Zealand. Tom Cruise barman romp Cocktail spawned even bigger box office, and a mega-selling soundtrack that Donaldson helped pick. His 1994 remake of The Getaway marked one of the earliest Hollywood features to be edited digitally. Three years later Donaldson succeeded in getting disaster epic Dante's Peak into the screen, two months before a competing film with a similar premise. In 2000 he completed "by far" his most ambitious film to that date. Thirteen Days dramatised the 1962 Cuban missile crisis. He can be seen at work on Dante's Peak and Thirteen Days in this 1999 documentary. Many of Donaldson's films have been thrillers or action films. En route he has shown a skill for making complex plotlines accessible — from the man investigating himself in No Way Out, to the globe-threatening brinksmanship of Thirteen Days. As he puts it: "I try to make my films very succinct and to the point, and not overly indulgent." Donaldson returned to scriptwriting with his long in gestation Burt Munro movie The World's Fastest Indian. There were obvious parallels between the story of a racer who is keenly embraced on arriving in the United States, and Donaldson's own journey. The film, he said, was "about growing older ... about one's ambitions and what one does with one's life". Bounty star Anthony Hopkins signed on to play the irrepressible Munro. Filming at the Bonneville Salt Flats went well — rain and hurricane winds did not destroy the sets until the last day on location. The film's New Zealand success powered it ahead of Once Were Warriors, to become the most successful local movie released on home soil; at least until Taika Waititi's record-breaking Boy in 2010. In 2007 Donaldson was in London, directing on digital for the first time. The Bank Job was inspired by a real-life 1971 robbery. The Observer's Philip French praised the film's subversive fun, and the "considerable verve" of its direction. Soon after Donaldson released book All Dogs Shot, a collection of his still photographs spanning over 40 years. In 2017 Donaldson completed another tale involving New Zealanders in fast-moving vehicles: feature documentary McLaren, about legendary Formula One driver Bruce McLaren. The following year he was named an Officer of the Order of New Zealand Merit, for services to film.